The return of the World Poker Tour to the Aviation Club in Paris saw Denmark come out on top of the 247 player field. Theo Jorgenson went into the final table at the Aviation Club in Paris France with a commanding chip-lead, and was able to control the action and stay on top of the chip count throughout the final day. The Danish poker pro was able to outlast a very game Antoine Amourette, who had the backing of the hometown fans thoroughly on his side. Jorgenson took a massive 10-to-1 chip advantage into heads up play against the Frenchman Amourette, and before the 1st place prize-money of nearly €634,000 had settled on the table, both players found themselves all-in pre-flop with Amourette significantly behind, holding K-6 to Jorgenson’s A-K. A 6-J-4 flop gave Amourette and the hometown hope, but an Ace on the turn sealed his second place fate, and locked up the title for Theo Jorgenson. The World Poker Tour will stay in Europe for its next stop in Barcelona Spain, for the WPT Spanish Championship which will take place from May 19-23. 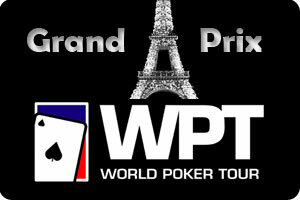 After the Spanish Championship the WPT will go on an extended break while the World Series of Poker takes place. The break will last until the Bellagio Cup in mid-July at which point the WPT will get into the meat of its 2010/2011 schedule. This entry was posted on Sunday, May 16th, 2010 at 3:55 pm and is filed under Poker News. You can follow any responses to this entry through the RSS 2.0 feed. You can leave a response, or trackback from your own site.